Pilots will now have the option to explore the Abyss with two of your fellow capsuleers, we covered this in greater detail in CCP “Triples” Down. The exciting new co-op Abyssal Deadspace PvE feature, providing fresh new gameplay and access to the formidable Triglavian race and their technology. Along with the expended play styles, 4 new ship are being added, plus the first Non-Empire Tech 2 ship. The email didn’t go into any detail, nor were there any images, about the new Upwell navigation structures, covered by the FLEX Classification. 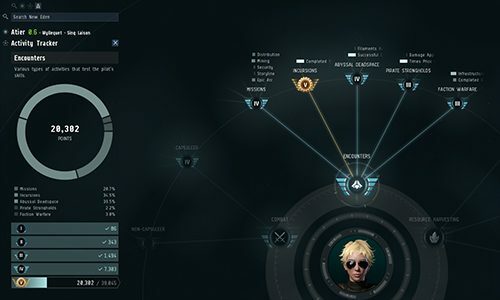 Still, as a fair number of capsuleers call NullSec home this is a large change. With the recent Hoboleaks about some of the structures build requirements, it becomes clear why they were include in the email. Coming in the expansion is a new activity tracker, seen during EVE Vegas 2018. This new features will monitor and display your achievements in New Eden. There are five main nodes in the activity tracker radial interface, with multiple child nodes. Industry, Exploration, Resources, Encounters, and Combat were the announced nodes. If the notes from EVE Vegas 2018 hold true then the combat section of the Activity Tracker will not initially launch fully developed. The activity tracker will also show avenues of further progression that pilots can take, highlighting other areas of New Eden’s wide array of gameplay for you to explore! 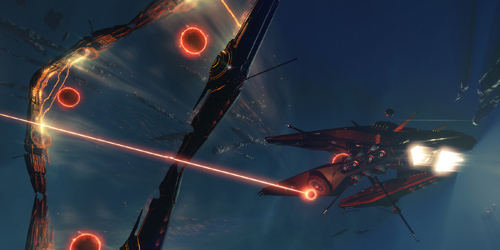 Are you excited for the extension of the Triglavian faction, or more Abyssal Deadspace options? Community seems to have mixed feedback over the Abyssal Deadspace Fleet testing. Some stating that while they were able to see it earlier in the development process, the lack of sever market and responses to feedback left a ton to be desired. With the bulk of the first weeks of testing dealing with market seeding the population to actually test the feature was weak. Will the activity tracker inspire you to expand your activities in EVE? There are a good number of “completionists” within New Eden, I am one of them -failing at it, but trying- so there are going to be select few racing to be the first to “check all the boxes.” However, will this push pilots to try new areas or help with the cases of, “What do you want to do tonight Pinky?” Let us know your thoughts! Return today to prepare for EVE Online: Onslaught, and stay tuned for more information about the expansion coming next week! What are one of the most popular blog websites in the Philippines where I can send my blog sites for others to review?